A group seeking an international ban on nuclear weapons has won the 2017 Nobel Peace Prize. 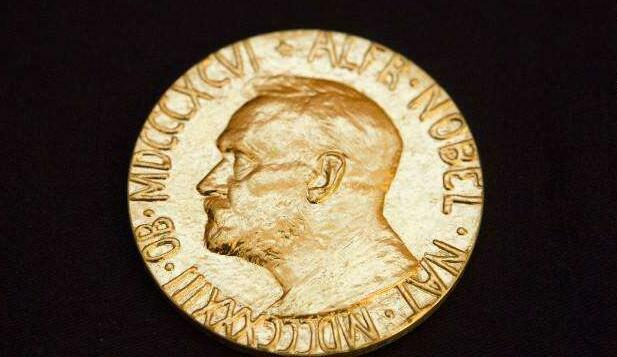 The Norwegian Nobel Committee is giving the prize to the International Campaign to Abolish Nuclear Weapons, or ICAN. The head of the committee, Berit Reiss-Andersen, made the announcement on Friday. She said, "We live in a world where the risk of nuclear weapons being used is greater than it has been for a long time." The Nobel committee said ICAN won for its work to bring attention to the catastrophic humanitarian effects of any use of nuclear weapons. The statement also praised the group for "its ground-breaking efforts to achieve a treaty-based prohibition of such weapons." ICAN describes itself as a coalition of non-government groups in more than 100 countries. It began in Australia and was officially launched in Vienna in 2007. ICAN's main goal is to support enactment of a United Nations treaty banning nuclear weapons. The treaty was approved in New York on July 7, 2017. The agreement, however, did not include nuclear powers, such as Britain, China, France, Russia and the United States. The peace prize announcement comes as U.S. President Donald Trump has threatened Iran and North Korea over their nuclear activities. President Trump told the U.N. General Assembly last month that he may be forced to "totally destroy" North Korea because of its nuclear program. U.S. officials now say Trump is likely to decertify the international nuclear agreement with Iran. He has called the agreement the "worst deal ever negotiated." The president is expected to announce his plans in a speech next week. The officials expect him to say the deal is not in the U.S. national interest. This would not cancel the 2015 agreement, but instead return it to Congress. Lawmakers would then have 60 days to decide whether to re-establish sanctions that were suspended under the agreement. A decertification could possibly lead to talks on renegotiating the deal, although Iranian President Hassan Rouhani has said that is not under consideration. He will pursue the national interest, regional and global power, protectionism and mercantilism. Several proposals are under consideration by the state assembly. 1.The Nobel committee said ICAN won for its work to bring attention to the catastrophic humanitarian effects of any use of nuclear weapons. In these cases, civil disobedience may be necessary in order to bring attention to the situation. 2.She said, "We live in a world where the risk of nuclear weapons being used is greater than it has been for a long time." He has been waiting here for a long time. We haven't corresponded for a long time.